Description: Walk is on paved trails along North Creek Nature area. WSU extension garden. Thru woods of McCollum Park. Continue past Mill Creek Sports park and Restrooms. City sidewalks to second paved Nature Trail and return to Mill Creek town center. 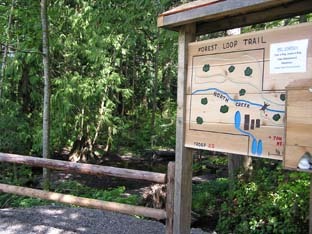 Start Point / Driving Directions: 15605 Main Street, Mill Creek, WA. I-5 exit 183, 164th SW norhtbound right, southbound left. 164th SW to Mill Creek blvd turn Left, turn Left on Main St, turn Right to Central Market parking lot.